7th Crawley Scout Group will be celebrating its 50th anniversary in 2016. It was decided to hold a competition to design a suitable badge that could be worn by members and we set the challenge to our young membership in the Colony, Pack & Troop. Judges, from the Group Executive and other supporters, were all very impressed by the high standard of entries. The winning entry designed by Owen T from the Cub Pack was announced at the Group AGM tonight. Over the next few weeks I shall be contacting companies who manufacture badges in order to get the making of the badge into production. It is planned that every member of Group will be presented with one of Owen’s badges at the begining of the Spring term of next year and it can then be worn on their Scout uniform during the whole of 2016. 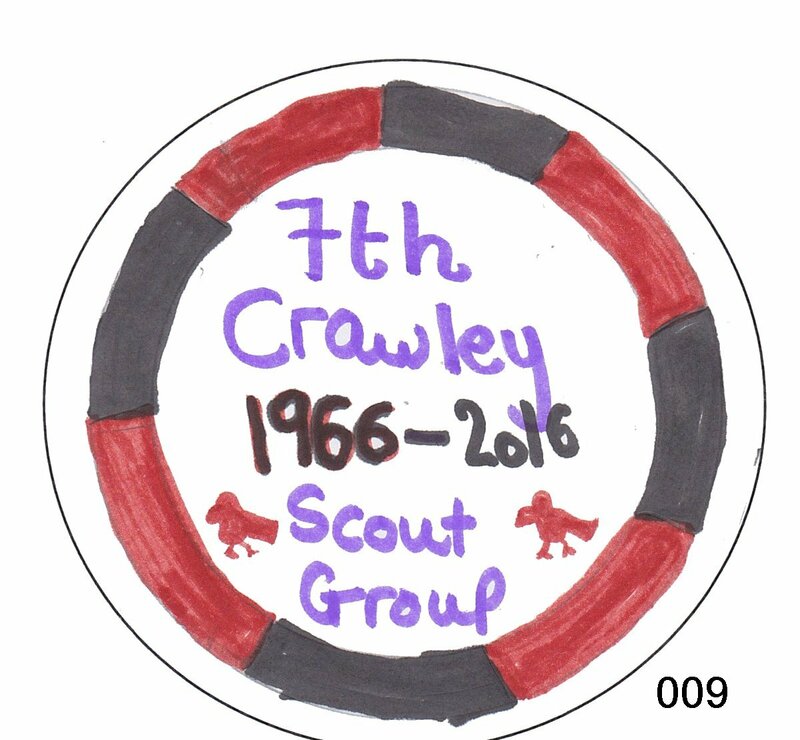 I am reminded that it was another Owen (Owen B) who, in 2006 designed our 40th Anniversary badge. So, if you would like your son (or daughter) to take part (and presumably win) the competition that I hope to lead in 2026 (???) for our 60th anniversary you maybe need to name all future children “Owen” just to be on the safe side! !